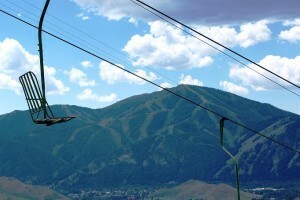 The first chairlift was installed at Sun Valley, Idaho, in 1936 and began operation in December. Pete Davis was the first with the correct answer and also pointed out that the lift was on Dollar Mountain and not Mount Baldy where most of Sun Valley’s skiing occurs today. 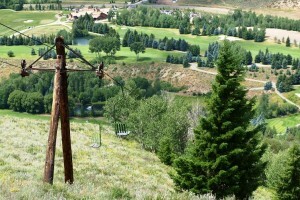 Actually there were two Sun Valley chairlifts built in 1936: one on Dollar Mountain and the other on Proctor Mountain. Later in 1938 a third chairlift was built on Ruud Mountain which still stands today, but is not operational. Of course Stowe’s first chairlift, the old single chair, began operation in 1940. On those cold days when you needed 2 or more of the famous blankets to survive the ride up the single chair, it must have been difficult to believe that the lift was inspired by a tropical banana-loader!